Pakistan tries to control the damage after its army chief insinuated that Iran may have abetted Indian espionage. When Iranian President Hassan Rouhani visited Pakistan at the end of March, he met with Pakistan’s powerful chief of army staff, General Raheel Sharif. As I discussed in The Diplomat last week, Pakistan chose to publicize the contents of the private meeting between Sharif and Rouhani, going as far as to mention that the Pakistani general had raised the issue of Indian espionage activities in Balochistan with the Iranian leader. The implication, according to the Pakistani army spokesperson’s description of the conversation between the two, was that Pakistan thought Iran may have abetted the activities of India’s Research and Analysis Wing (RAW, India’s external intelligence agency). Iran, naturally, was less than pleased with the insinuation and protested. 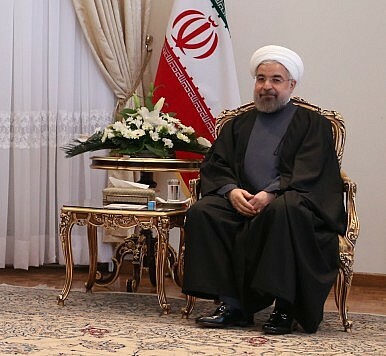 Rouhani rejected the Pakistani military’s claim that RAW had even come up during his conversation with Sharif, saying that “Whenever Iran comes closer to Pakistan such rumors are spread.” The ‘rumor’ the Iranian president was referring to was directly disseminated by the Pakistani armed forces, in this instance. “During past days some section of Pakistani media has spread contents regarding detention of an Indian agent and the matter related to it, which could have negatives implications on the fraternal and friendly atmosphere of Iran and Pakistan,” Iran’s embassy in Pakistan had warned, referring to Yadhav. Now, more than a week after Rouhani’s visit, Pakistan’s government appears eager to control the damage. Nisar Ali Khan, Pakistan’s interior minister, cautioned the press against linking Yadhav’s arrest to Iran: “Iran has nothing to do with the activities of Indian intelligence network. Pakistan and Iran are tied through decades long religious, social, cultural and political bonds, and nothing can come in way of our relations,” said in Islamabad over the weekend. “Our ties with Iran are by no means linked with the arrest of an Indian spy,” he added. The row over Indian espionage and Iran’s alleged involvement highlights what may have been yet another instance of the Pakistani military creating a diplomatic headache for the civilian leadership, which is largely incentivized to keep Islamabad’s bilateral with Tehran on steady ground. The Pakistani military, on the other hand, sees itself on the front lines against an insurgency in Balochistan as China seeks to realize multi-billion dollar infrastructure projects in the area. What the Kulbhushan Jadhav Saga Reveals About India and Pakistan’s Balochistan ProblemsAn Alleged Spy Sentenced to Death Rocks India-Pakistan RelationsIndia and Pakistan: Still Stuck in a RutCould Offensive Cyber Capabilities Tip India and Pakistan to War?Between India and Pakistan, Can 'Negative Peace' Serve as a Strategic Good?